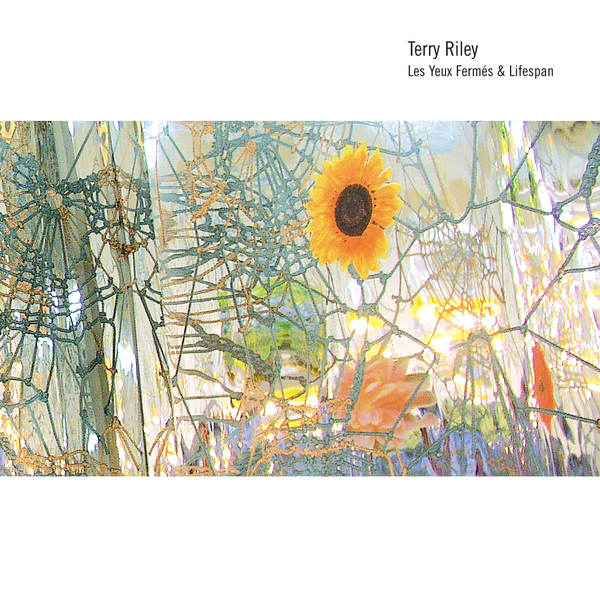 It's been an absolute pleasure to see the Elision Fields label taking such time and effort in getting these essential Terry Riley re-issues back into circulation, and this new disc is probably my favourite so far. It combines two separate releases, both of them soundtrack work that Riley recorded in the 70s, and both have never before been issued on compact disc. In fact like many of the original Terry Riley releases the 70s vinyl editions were marred by very poor sound quality, so this is actually the first time you can hear these pieces 'intact' as it were. The first soundtrack is from French art film Les Yeux Fermés, a feature length movie that apparently achieved cult status thanks to it never being shown in the USA. I haven't managed to see the film itself, but the two pieces presented here (both eighteen minutes in length) are simply phenomenal examples of Riley's work. The first is perhaps one of Riley's most stunning moments, entitled 'Journey from the Death of a Friend' this illustrates everything I adore about the composer, looping organ phrases tumbling over and over each other, tear-inducing bass harmonies and incredible synthesized sounds, occasionally even rivalling the great Harmonia in the synth-prog stakes. People often ask me what I think is 'a bit similar to Cliff Martinez's Solaris OST', well this would be it - here is where Riley laid down the template for Martinez to pick up from, just give it a listen and you'll know exactly what I'm talking about. This is never more evident than in another of the cd's stand-out moments 'In the Summer', from the 'Lifespan' OST (a 1974 horror film starring Klaus Kinski) - at only six minutes in length it's short and perfectly formed, but the combination of sounds and those absolutely heart-stopping harmonies make this an astonishing piece of music. Krautrock fans, prog fans, classical fans, electronic music fans, experimental music fans - unite in appreciation of one of the 20th Century's most important figures. An absolutely essential album - buy it.